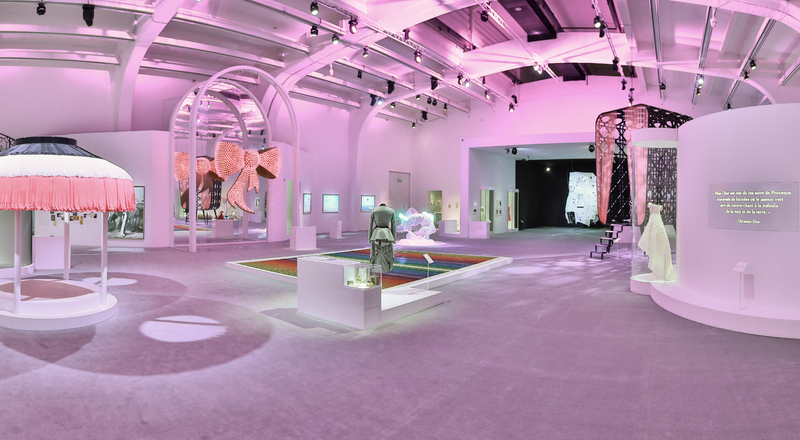 As part of the 10th Sino-French festival, “Croisements”, the Ullens Center for Contemporary Art in Beijing recently hosted an exhibition dedicated to Miss Dior. Seventeen contemporary women artists were invited to celebrate the fragrance, a homage to Mr Dior’s love of artists and femininity. The show also featured numerous archive documents and Dior haute couture dresses tracing the history of the relationship between the House and artists. Before becoming a brilliant fashion designer, Mr Dior was a gallery owner in Paris, exhibiting works by artists, many of them close friends. In a reconstitution of his gallery were exhibited works by Bernard Buffet, Miro, Christian Bérard and Man Ray, the pure contrasts of this latter echoing the perfectly structured lines of the Bar suit. With the Miss Dior exhibition, the House is perpetuating the dialogue between fascinating and passionate creators. Attracted by the concept, 105 000 visitors flocked to the outstanding show, and more than 1,600 guests attended the exhibition opening. “It’s amazing to see all these women artists honoured at the opening and their work admired by people from around the world,” said Nathalie Portman, the face of Miss Dior.